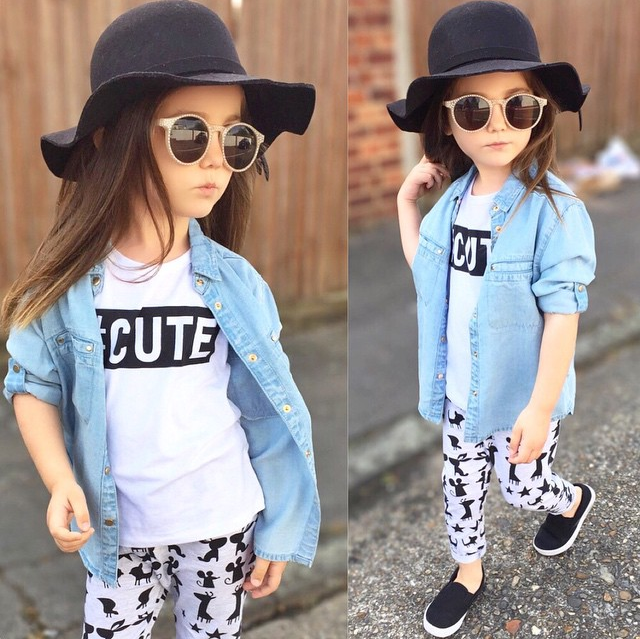 You would do everything possible to make your little princess more fashionable, so you should know the rules of dressing. Knowing the rules isn’t enough, and you should go to watch some successful examples. 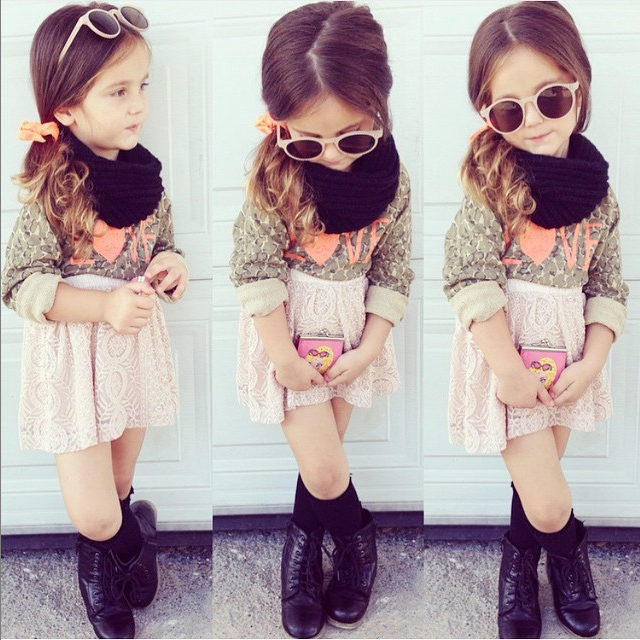 You could learn from those examples, and then you may be able to dress your baby girl more fashionable. Now I’m going to show you some photos of a baby girl model on Instagram, and I wish you could learn from them. You could see that a pair of blue jeans goes well with a black T-shirt with golden logo. Blue jeans are very easy to match with all kinds of T-shirts, and the T-shirts with prints could be better. 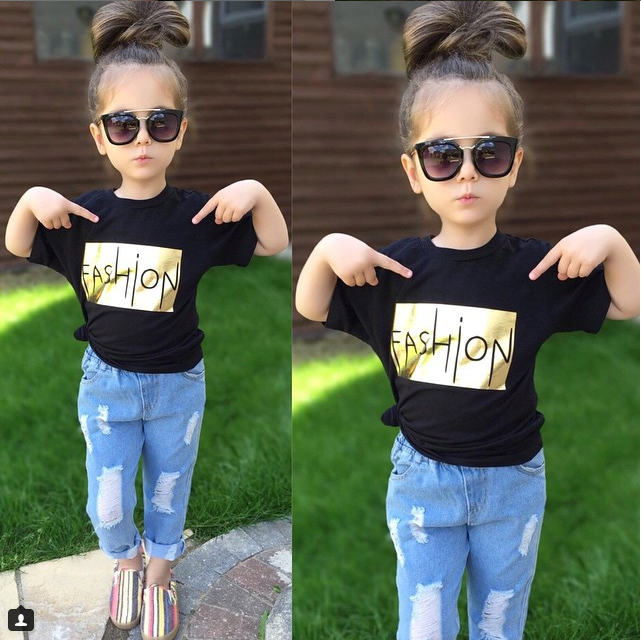 Baby girl T-shirts are the must-have clothing in your closet. In addition, a pair of sneakers would be needed. Pink skirts are very beautiful for girl to wear, especially the one which is made of lace. It’s consistent to match those skirts with patterned T-shirts. The girl in the photo looks very elegant, but the black booties make her look a little bit cooler. The black scarf is also an accessory to make her look cooler. White leggings with black patterns should match with neutral tops. As photo shows above, the combination of a white T-shirt and a denim shirt would be wonderful. Since the girl dresses in black and white, sneakers in black would be suitable to match with. 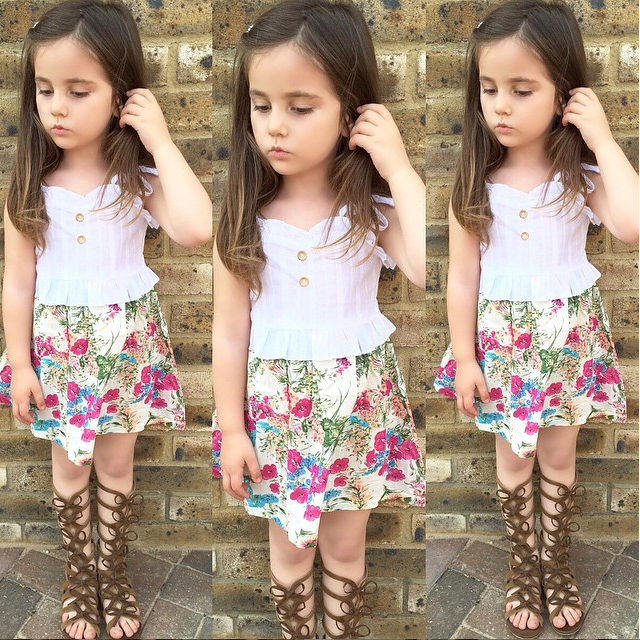 There is no reason for you to miss a floral skirt in this hot summer. A tank in pink goes well with this floral skirt, and it looks very cute. 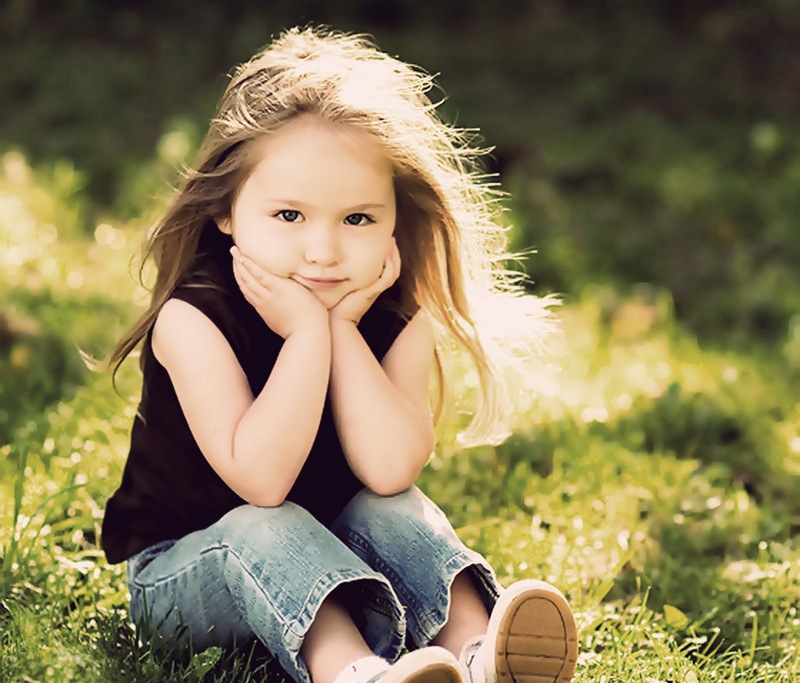 This pretty girl is so attractive that I want to buy some baby girl skirts for my princess. The last thing is that some accessories such as sunglasses and hairpins could bring you surprises.